 Hello and welcome to Jim's Photos, LLC Youth Soccer pages! These pages illustrate in photos the sport of Youth Soccer. There are photos of many different games from all age levels. The sport of Soccer helps young people develop physical and mental skills needed to be successful with life in the real world. Jim's Photos, LLC is not affiliated with any team, club or organization and receives no compensation from them. Photo orders are appreciated! Note: Any photo can be made into a team or group poster! Ask for details!! 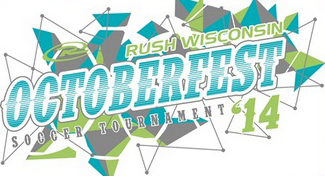 Instructions: To view and print the "Team/Group and Individual" photos from the RUSH 2015 Octoberfest Tournament, use the link in the green box. You will be taken to the high resolution photos suitable for printing and framing. Just use the "Buy Photos" button located on the right above the photo you are interested in. You can choose your photo size and type and a lot of other options as well. To download photos, click on the [d] icon. You will be taken to the digital download section. Navigate to locate the photo(s) you are interested in. Locate the icon to the righ under the photo you are interested. This will dowmload the image to your hard drive. If asked for a password, please contact Jim's Photos. Let me know if you have any questions. The Annual Rush Spring Classic Tournament is a great way to start out your spring season. I try to capture as many games and events as I can and I have photos for all events that are listed, however I don't always get them all posted right away. If you would like a specific event posted, click the icon next to the event you are interested in. I will try to give that event priority. Note: Events with an * (astrek) are partial posting with more to come. More photos will be posted on request. More Photos Coming Soon. Let me know if you would like your event photographed! I try to capture as many games and events as I can and I have photos for all events that are listed, however I don't always get them all posted right away. If you would like a specific event posted, click on the icon next to the event you are interested in. I will try to give that event priority. * All photos on this web site have been reduced for web site viewing. Any information appearing on the photo in faint white will not be present on your prints. Actual prints are full photographic quality suitable for framing. Note: Jim's Photos is not affiliated with any team, group, club or organization and receives no compensation for his work. Photo orders are appreciated! All photos on this web site have been reduced for web site viewing. Actual prints are full photographic quality. All are high resolution photos that are suitable for printing and framing which can be ordered by following the instructions above. Large poster prints are available for most images. Any information appearing on the photo (watermarks) will not be present on your prints. Note: Jim's Photos, LLC is not affiliated with any team, group, club or organization and receives no compensation from them for his work. Photo orders are appreciated! All photographs and content of website contained herein are the exclusive property of Jim's Photos, LLC and may not be used or reproduced in any manner without permission.